When you hire The Secret Meadow, you have exclusive use of the land for three days. Our partner suppliers can quote for your requirements - the structure built to size to accommodate your guests and the other necessities such as furniture, lighting, electrics and toilets. Alternatively, you are welcome to source your own supplier. You are welcome to bring your own daytime drinks or we can offer a range of drinks packages that can be tailored to your party. For the evening we have a fully licensed bar service that is included in the exclusive hire price. After that, we can help as much or as little as you like with all your wedding requirements. Please ask and we will be happy to send you more details. Finally, you decide whether you and your guests sleep under the stars and take advantage of the camping and glamping opportunities on site. Visit the Prices section for a breakdown of costs. 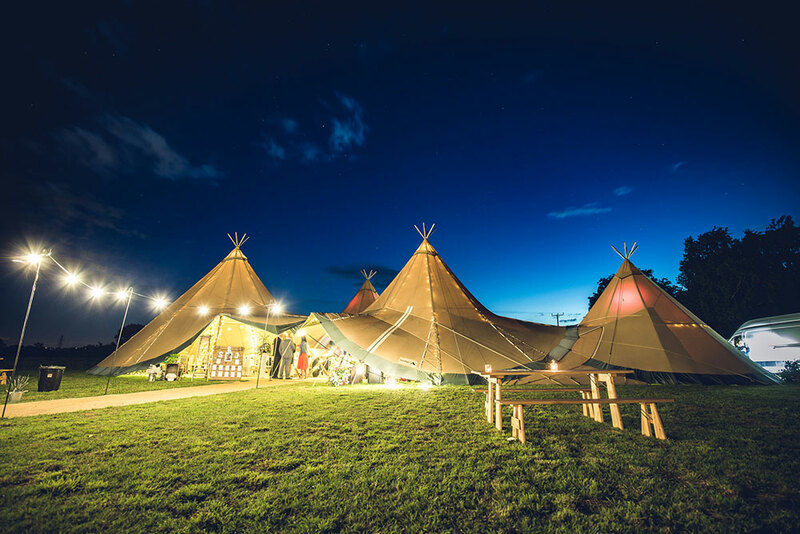 You decide what structure to celebrate in - Nordic Tipi, Yurt, Dome or Marquee. All the options allow the flexibility to cater for weddings of any size and style.